A router is the hub of your network. The wizard behind the curtain, ensuring that your computers, tablets, smartphones, gaming consoles and SmartTVs can connect to each other and to the Internet without a hitch. When it comes to routers, there are many options to choose from with countless differentiating features. While helpful, this can make finding the best model for your specific needs a headache. 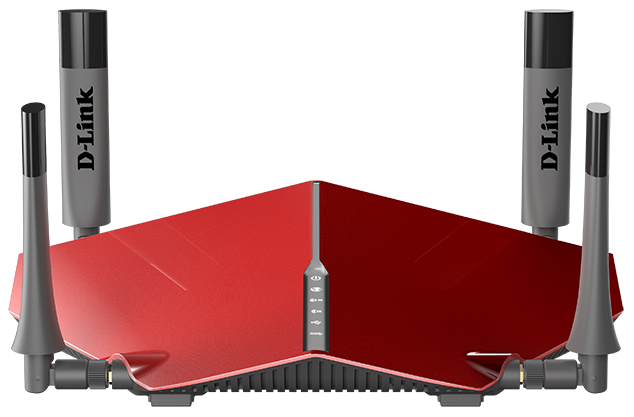 To help you sort through the choices, this guide offers some quick recommendations and plenty of info about key features to look for in your next router. 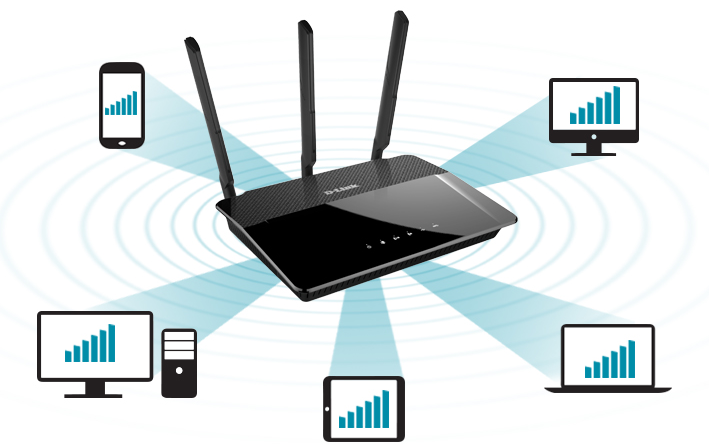 A router’s Wi-Fi range depends on many factors – how many radios and antennas it has, what frequencies it broadcasts on, interference – the list goes on. All you really need to know, though, is Wireless AC routers provide the best connectivity at the farthest range, followed by Wireless N routers. If you want reliable Wi-Fi throughout your house, stick to AC and steer clear of Wireless G.
When shopping for a router, you’ll find both single band and dual band models. 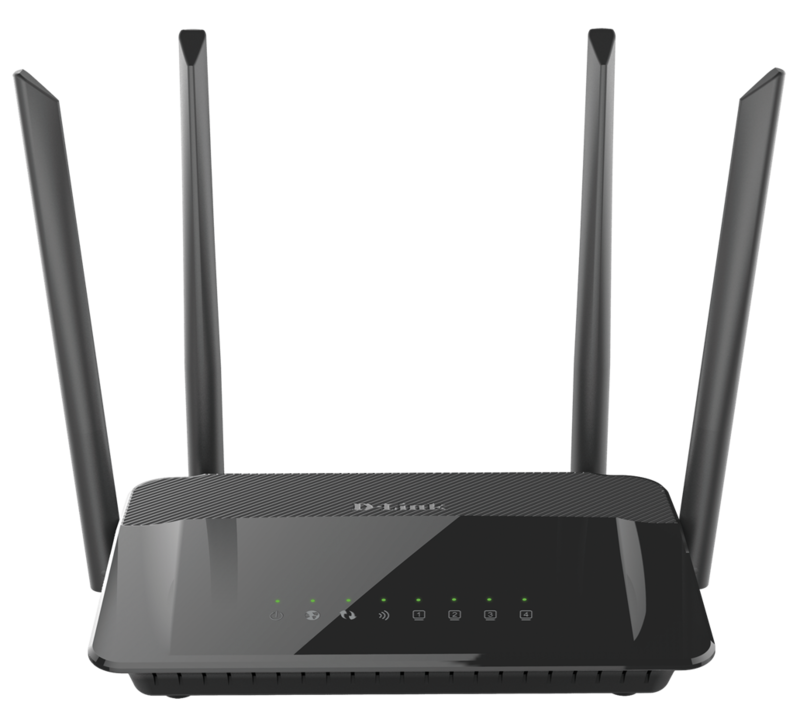 Single band routers operate on one wireless frequency only, the 2.4GHz band. While it works well for surfing the Internet, this frequency can get overly congested making it unsuitable for high-bandwidth apps like streaming video. Dual band routers transmit data over the 2.4GHz band and the 5GHz band, which is less prone to interference from other devices. 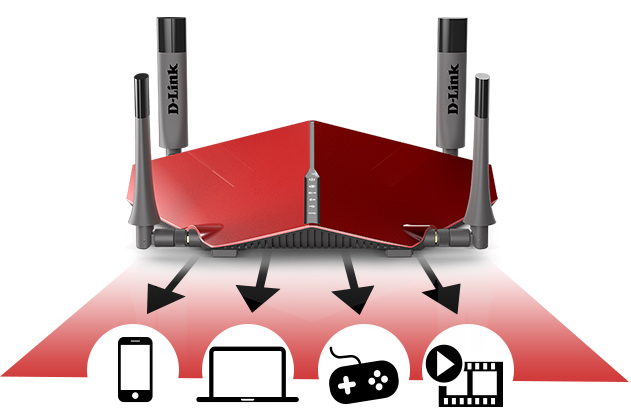 With a dual band router, you can browse the Internet on the 2.4GHz band while streaming HD movies on the 5GHz band and neither band gets overloaded. In short? Dual band means less interference and faster speeds. 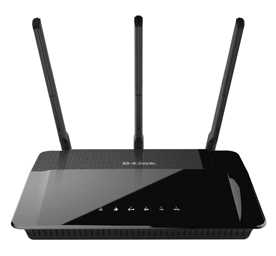 All Wireless AC routers and select Wireless N routers offer dual band functionality. 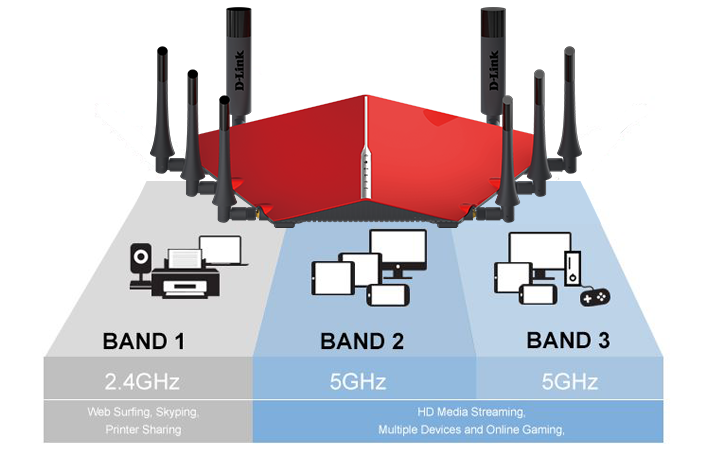 With Tri-Band routers it’s simply adding another band, specifically another 5GHz band. With multi band routers it’s easy to think of it as a highway, with each band added the less chance of traffic and congestion there is even as more and more cars (devices) are added. So for the households with multiple Wi-Fi users all using multiple devices and maybe even throwing in a few connected home products’ the more bands your router has the better connection all your devices will get. Tri-Band is a fairly new concept but if you’re interested in a Tri-Band router check out our AC5300 Ultra Wi-Fi Router (DIR-895L/R). Muli-User MIMO is one of the newer Wi-Fi features to look for in routers and as more and more devices become compatible it’s going to really make a difference in the way your devices communicate with your router. MU-MIMO technology allows multiple devices to get high-bandwidth Wi-Fi signal at the same time, distributing data more efficiently, giving you the fastest Wi-Fi speeds in your home. You can stream HD media faster, transfer large files really fast and play lag-free gaming. For MU-MIMO technology we recommend the AC3150 Ultra Wi-Fi Router (DIR-885L/R). Routers with QoS traffic controls track the type of network traffic (web surfing, online gaming, Skype®, Netflix® and so on) and decide which application deserves higher priority. This improves your online experience by ensuring that high priority traffic like Netflix is prioritized over other network traffic ensuring the best video quality and user experience across all devices on the network. Ethernet ports are available in two speeds: Fast Ethernet, offering speeds of up to 100Mbps, and Gigabit Ethernet, clocking in at up to 1000 Mbps. 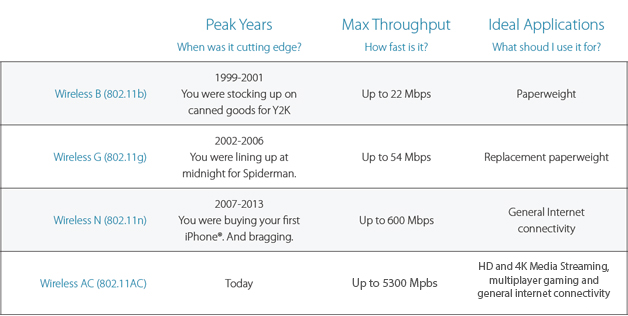 If you want the fastest wired speeds available, you want Gigabit Ethernet. Maximum wireless signal rate derived from IEEE Standard 802.11 specifications. Actual data throughput will vary. Network conditions and environmental factors, including volume of network traffic, buildings materials and construction, and network overhead, lower actual data throughput rate. Environmental factors will adversely affect wireless signal range. 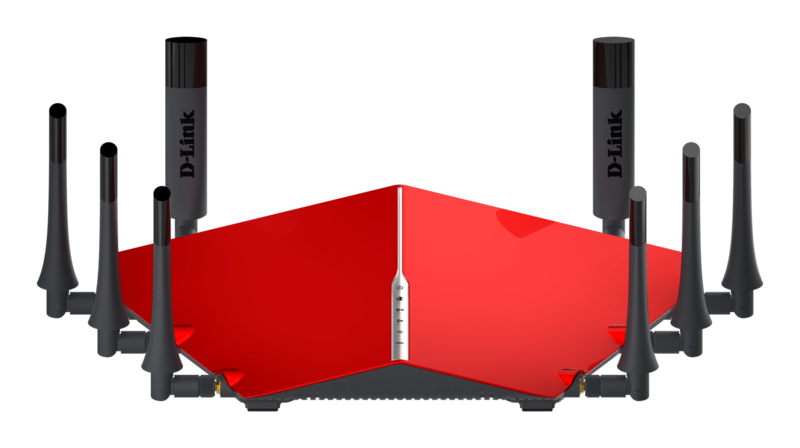 D-Link is a registered trademark of D-Link Corporation or its subsidiaries. All other third-party marks mentioned herein may be trademarks of their respective owners.